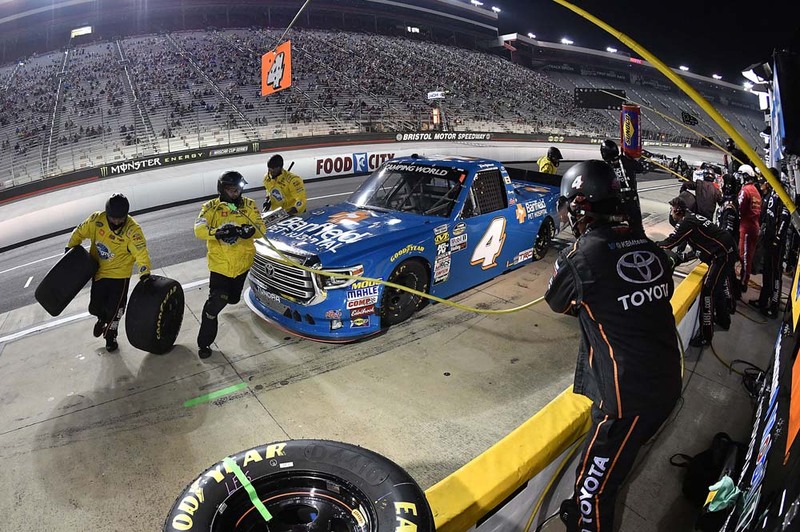 Bristol Motor Speedway marked the final race of the regular season for the Truck Series. 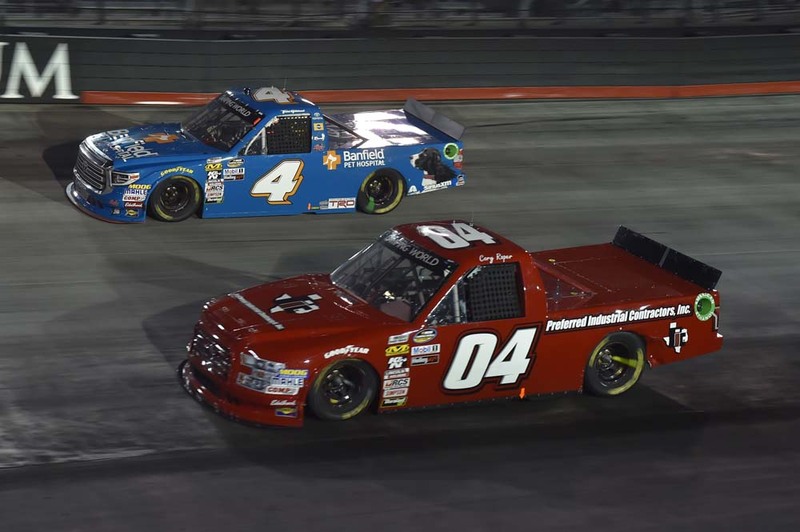 Todd Gilliland needed a win to make the playoffs in his rookie season. Although he did not win the race, he came back from a spin and pit road penalty which put him a lap down to finish fifth. Gilliland started eighth, but fell back to 11th since his Banfield Pet Hospital Tundra was too loose. By the end of the first 55-lap stage, he was 13th. He pitted for four tires and an air pressure adjustment. He restarted ninth for the second stage, but on the next lap his Tundra was very loose causing him to spin out. Gilliland came to pit road for four new tires and a chassis adjustment. As he was leaving the pit box, he had to stop to remove a wedge wrench. NASCAR issued a penalty which cost him a lap. When the race resumed he was back in 26th place, one lap down. The caution flew to end Stage Two on lap 110. Gilliland was 24th, but crew chief Marcus Richmond instructed him to stay out and take the waive around to get his lap back. Gilliland restarted the final 90-lap stage 20th at the tail end of the lead lap. He was passing trucks with ease and the Banfield Pet Hospital Tundra was one of the fastest trucks on the track. With 50 laps to go Gilliland was 15th and still on the move. At lap 175 he was running his best lap times of the night. With 15 laps remaining he was eighth, but would not settle for just a top 10. In the closing laps, Gilliland fought his way up to finish fifth for his third top-five finish of the season. Johnny Sauter won the race followed by Stewart Friesen, John Hunter Nemechek, Parker Klingerman and Gilliland rounded out the top-five finishers. The race featured five cautions for a total of 38 laps. There were six lead changes among four drivers. 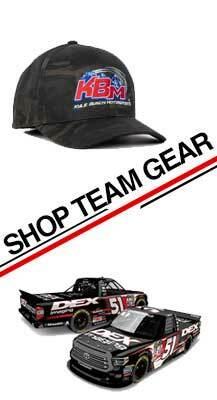 KBM’s Christopher Bell led 31 laps while his teammate Noah Gragson led seven. The No. 4 team is 10th in the Truck Series Owner’s Championship Standings, while Gilliland moved up to 11th in the Driver Championship Standings. The Truck Series returns to action north of the border next week on Sunday, Aug. 26 at Canadian Tire Motorsport Park in Bowmanville, Ontario. Live coverage of the race begins at 2:30 p.m. ET on FS1.